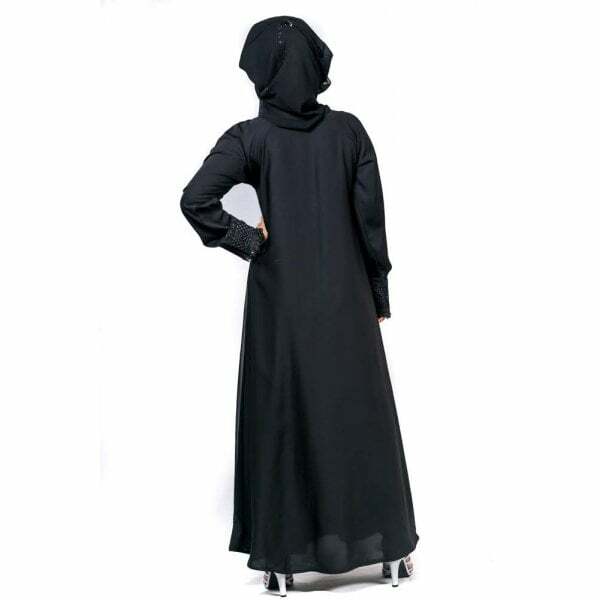 A classy abaya with beautiful work of black stones & pearl. Lace work along sleeves and Chest. Style with embroidery work on chest.